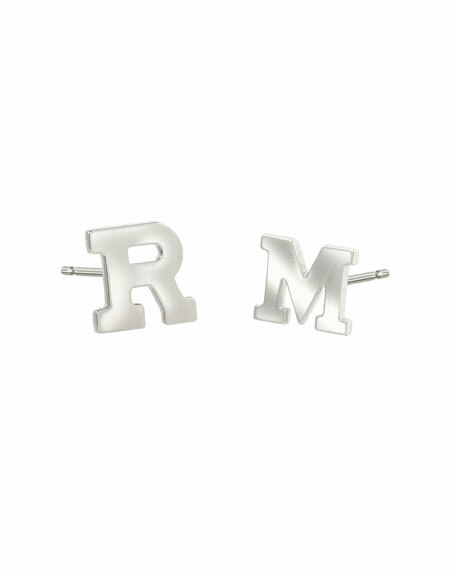 Initial stud earrings by Zoe Lev Jewelry. Armenta earrings from the New World Collection. Oxidized and blackened sterling silver Champagne diamonds trim stems. Bezel-set round and pear-shaped white sapphires. 0.12 total diamond carat weight. Approx. 0.8"L. For pierced ears. John Hardy earrings from the Classic Chain Collection. Sterling silver with carved chain design. Omega post backs for pierced ears.